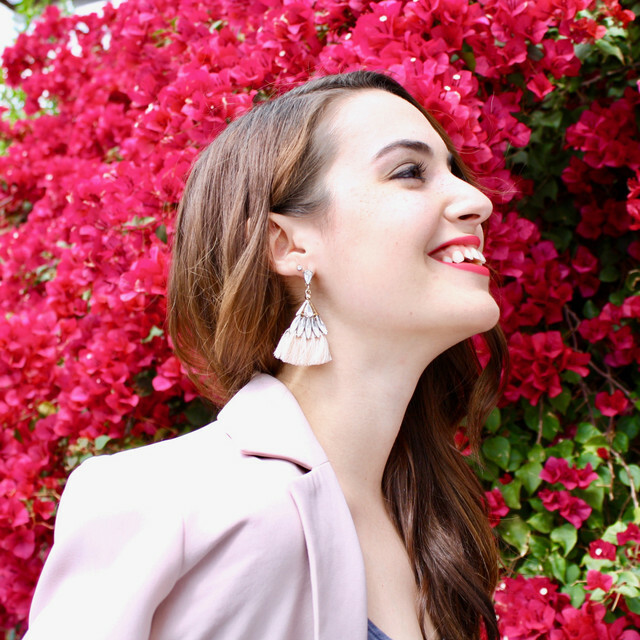 Lately, jewelry seems to be taking the form of animals, insects, and now reptiles. The newest critter to join the fashion scene is the snake. 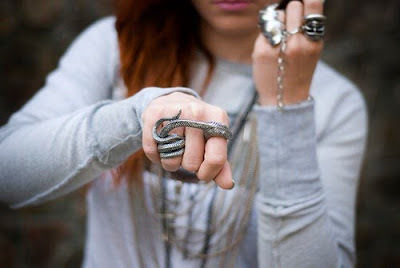 Gold or silver, big or small serpent rings seem to be the newest accessory on the block. 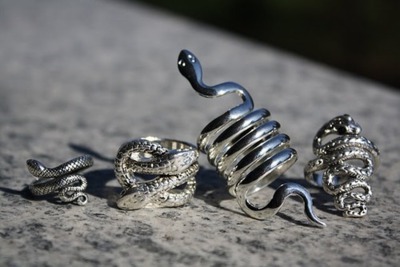 Already having two, I can tell you that they are my most worn rings; however, I wouldn't mind adding the double snake ring to my collection either! 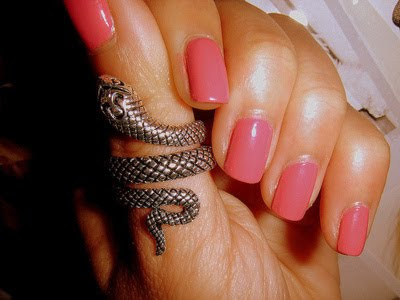 Oh wow, I really need a snake ring!